This post originally appeared here: https://realtyna.com/blog/what-is-reso-web-api/. Very simply, RESO Web API is the next evolution of data standards for real estate technology. If you are not sure what that means, don’t worry. We created this article to explain everything from the very beginning. We’ll cover how the real estate industry works, why the RESO Web API exists, and what it does. At the end, we hope you’ll have the information you need to improve your business. And at the very least, you’ll have some new knowledge to impress guests at the next cocktail party. Like all technologies, RESO Web API is designed to solve a problem. In this case the problem is fragmentation. The fact of the matter is the real estate industry in the United States is fragmented. Instead of a single body warehousing property listings across the country, there are more than 700 small and medium MLS. Each manages its own database of listings. Without standardization, transferring listings from these MLS would be a nightmare. Imagine an agent in Cincinnati. She wants to create a property search website. She should include listings in the city as well as nearby counties in Kentucky and Indiana. This could require access to three separate MLS. If each MLS has its own data system, the agent would need to spend weeks cleaning and reformatting the data. It would be so burdensome she might decide not to undertake the project at all. To avoid this scenario, the Real Estate Standards Organization (RESO), has pushed for standardization for nearly two decades. The push began in 1999 with the creation of the Real Estate Transaction Standard (RETS). RETS introduced a set of guidelines to conform electronic property listing storage and transfers across MLS. Today, virtually every MLS has a RETS server, or a database of its listings that conform to RETS. RETS spawned dozens of real estate technology companies like Realtyna that help agents and brokers build property search into their websites. For example, Realtyna’s signature product Organic MLS Integrtion, is based completely on RETS. But RETS comes with a trade-off. It requires the duplication of the MLS database on local servers. For example, if I want to connect my website to my MLS RETS server, I first need to copy every listing to my servers. Then my data feed will process updates at regular intervals. This creates a few potential complications. First, RETS servers can exceed 100 GBs in disc space. To accommodate all of these listings I would need a robust, and expensive, hosting plan. If I want listings from two to three MLS, like our agent in Cincinnati, the costs compound. The second complication is security. With duplicates of their database spread across the web, the MLS can never be sure of security. So RESO developed the RESO Web API. As an API (or application programming interface), the new RESO standard allows for data calls directly from the MLS. When a client runs a property search on your site, instead of searching a database on your servers, it searches the MLS database directly. This limits the need for large amounts of local hosting. This also reduces security concerns, as there is no need for duplicate databases across the web. Paired with the RESO Data Dictionary, the RESO Web API also standardizes the structure of property listings. Under the new standard, MLS will be required to use a limited number of data fields when creating and storing property listings. This limits the amount of coding companies like Realtyna must do for each individual client. With reduced hosting and coding needs, future IDX projects using RESO Web API should be less costly and faster. But these are not the only benefits of RESO Web API. The new standard is also based on OData, a global technology protocol. This gives developers a large range of tools to use when developing products with RESO Web API. And it should help push the real estate industry deeper into mobile and social applications. So we have RETS. And we have RESO Web API. Where do we stand? 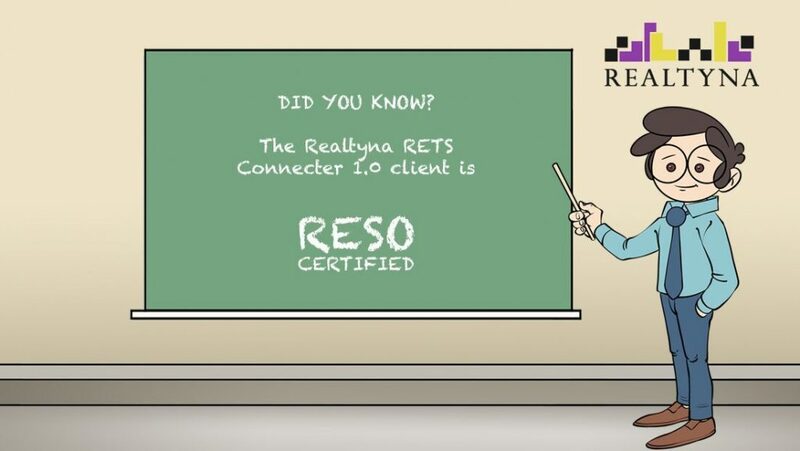 RESO has announced that it will look to retire RETS. It considers RESO Web API to be the superior standard. And it has pushed MLS to become compliant by the end of 2018. Real estate technology companies, including Realtyna, also are laying the groundwork for a switch. So you’ll start seeing more and more technology products based on RESO Web API from others and us in the near future.